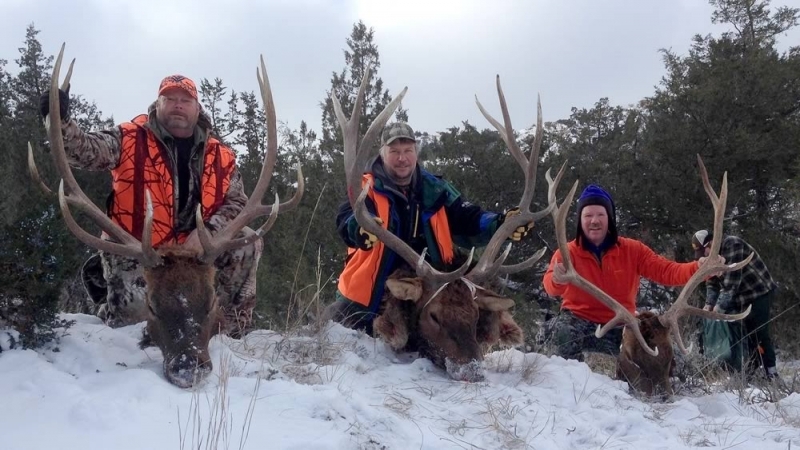 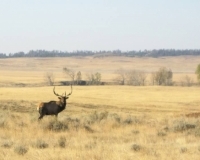 These hunts coincide with the elk rut and we are generally into elk every day. 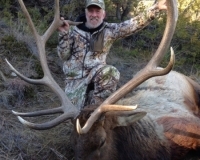 Archers must be accurate at 40 yards. 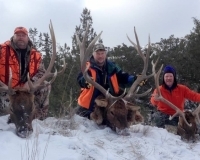 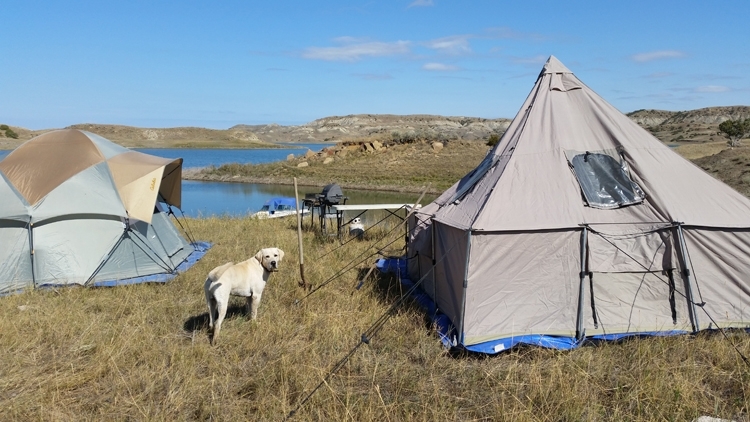 We are also able to offer 1-on-1 hunts, upon request; please call pricing and availability. 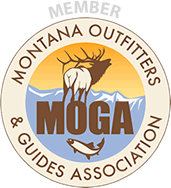 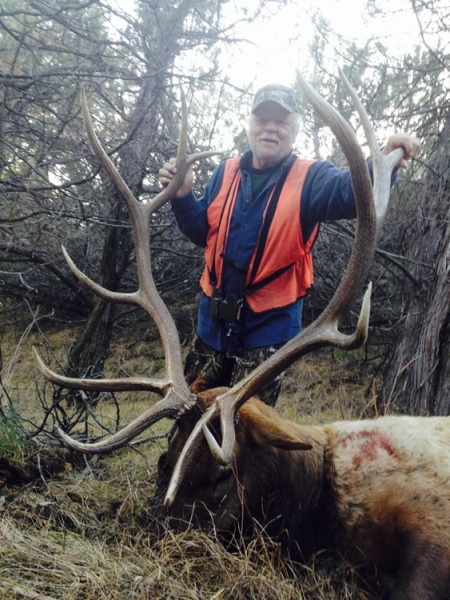 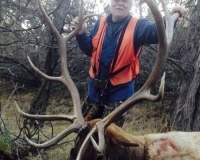 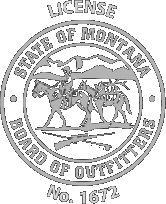 Rifle bull elk and rifle cow elk permits are given out in a drawing. 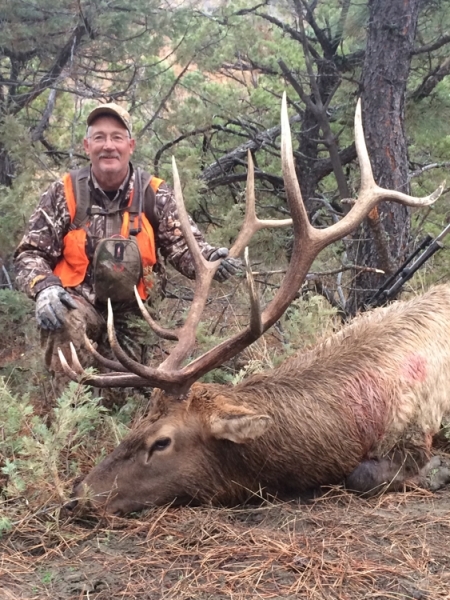 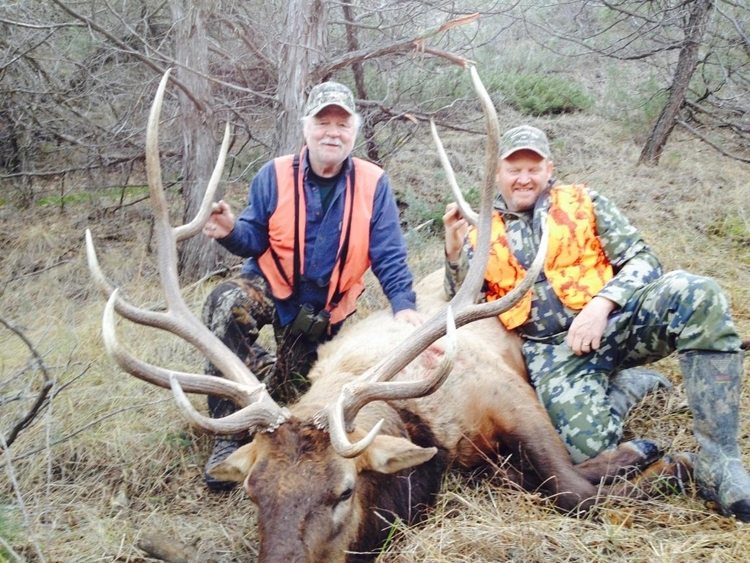 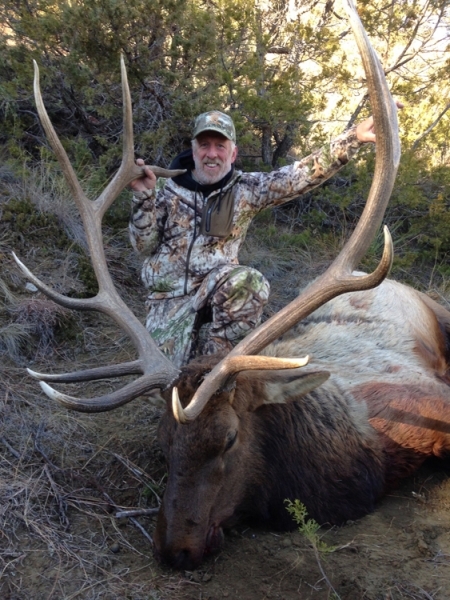 It is difficult for hunters to draw rifle elk permits, but if you do draw a permit, Rifle Elk Hunts are available. 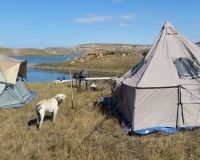 Dates available upon request. 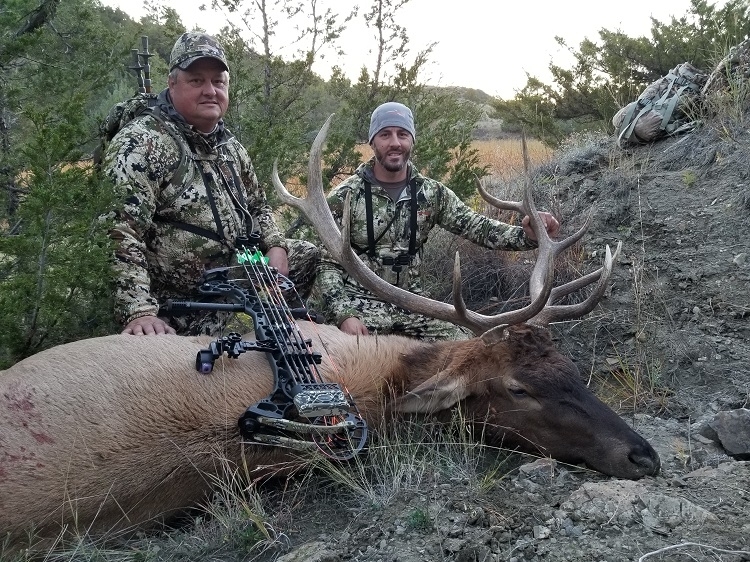 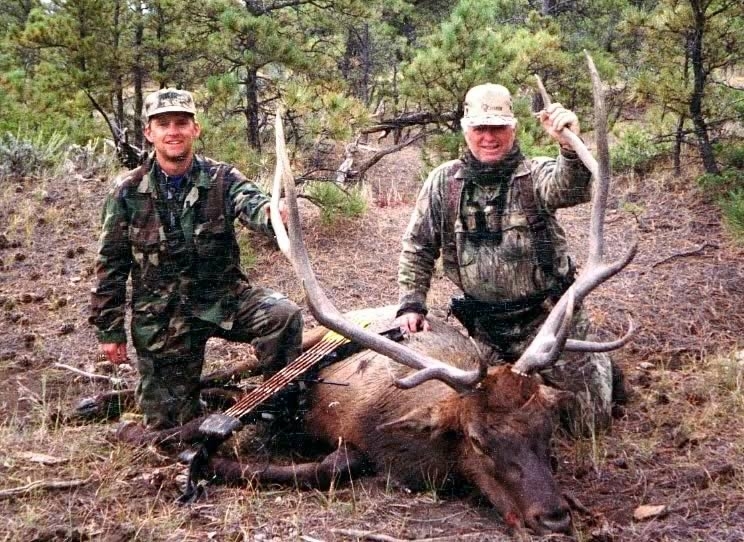 If you want to add a Rifle Elk Hunt to one of the other hunting packages, add $2,000 for bull elk and $1,000 for cow elk. 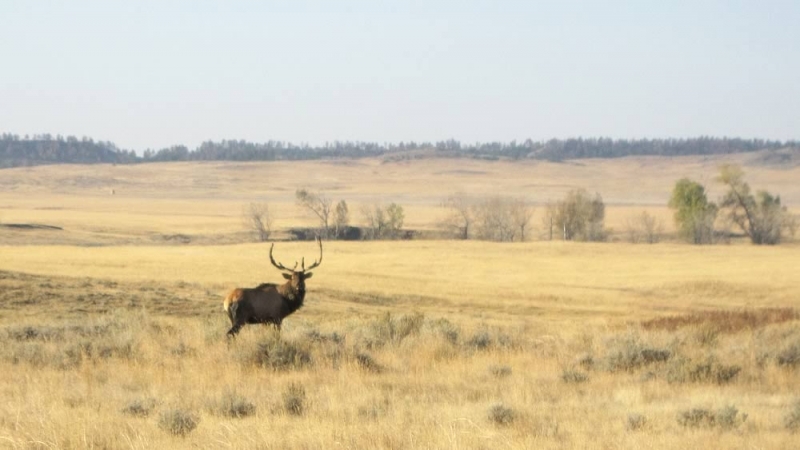 The Breaks are known as one of the premier elk habitats in Montana and the western U.S. Elk and mule deer inhabit much of the same areas. 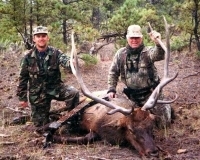 Our thirty years of hunting this area gives us a great understanding of where and when the elk will be. 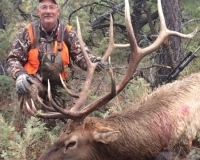 Drawing a permit is difficult but if successful, you may have the hunt of a lifetime!